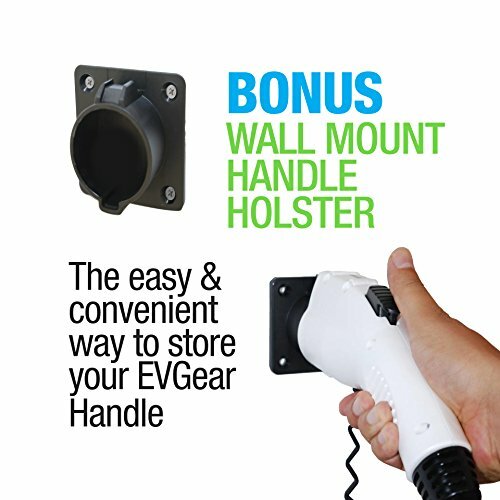 EV Gear - Charge Forward! We stand behind out products and are always here to make things right. 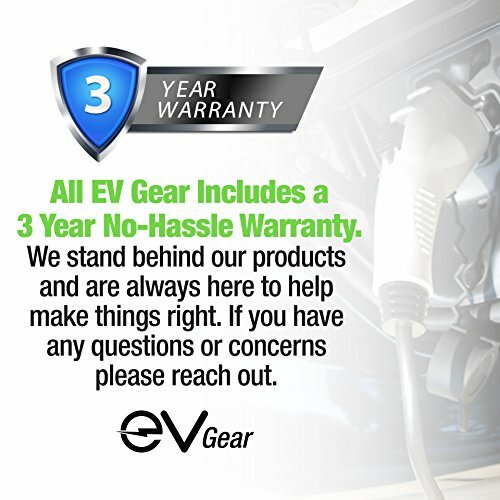 That is why all EV Gear products come with a 3-year hassle-free warranty. 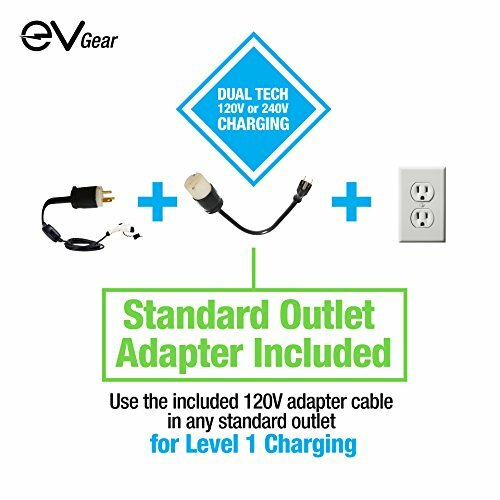 UNIVERSAL EV CHARGER: The EV Gear Level 2 Charger enables quick, reliable charging for your electric car or plug-in hybrid. Our goal is to make electric vehicle charging quick and easy. Our Standard J1772-2009 charging cable will fit any electric vehicle, no matter the brand or the age of the car! For a list of compatible models, please scroll down to our full product description. 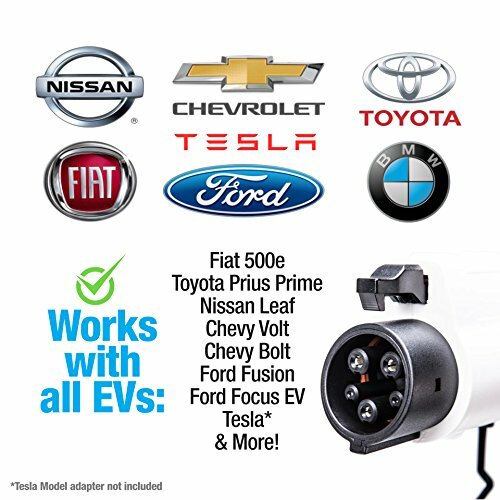 Upgrade your garage to a high-speed EV charging station today! Made with UL approved components. BEST LEVEL 2 CHARGER: Our level 2 charging cable features 240V, 16 Amp charging and provides a rapid 3.86 kW/hour. 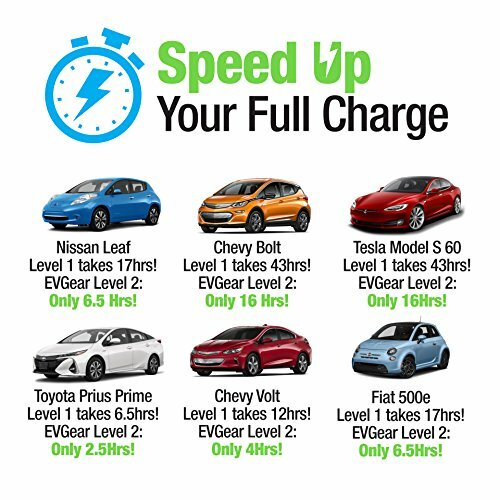 With level 2 charging, most electric vehicles will charge up to 11 miles per hour. That is almost 3 times faster than your car's original charger! The cable is 30 feet long which allows for quick and convenient EV charging in your home. 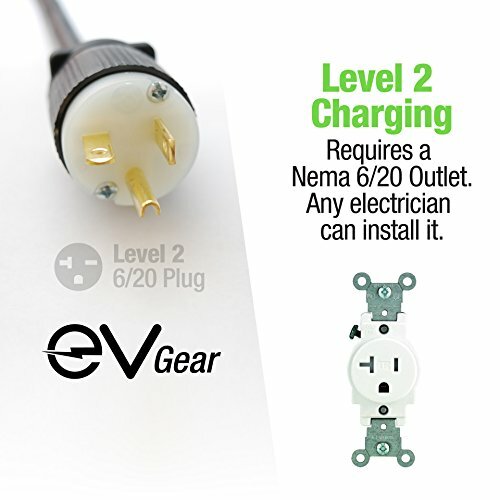 The Level 2 charger works with Nema 6/20 plugs only. LEVEL 1 ADAPTER: Sometimes, level 2 EV charging in your garage is not an option. We get it! That's why we created an EV charging set that includes a Level 1 adapter cable. 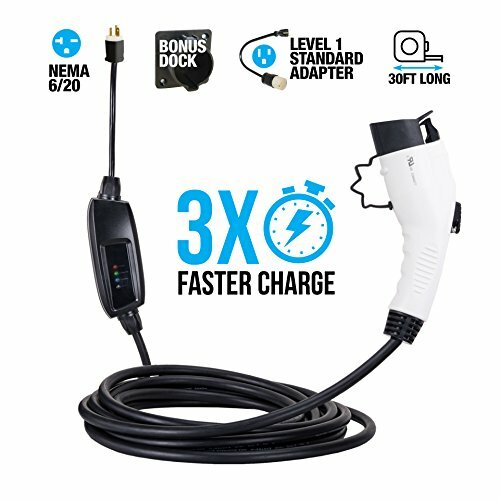 The 1 foot long adapter enables you to charge your electric car via a standard 120V (Nema 5/15) wall plug. A slow charge is always better than no charge. USEFUL EXTRAS: Each EV Gear charging set comes with an EVSE control box with indicators for power, connected, charging and fault so that you always know the status of your charge. The control box is IP55 enclosure rated and comes with a practical hang tab for wall mounting. As a bonus, we also included a clip dock wall mount J1172 connector holster that allows you to store the charging handle conveniently on the wall and out of the way. 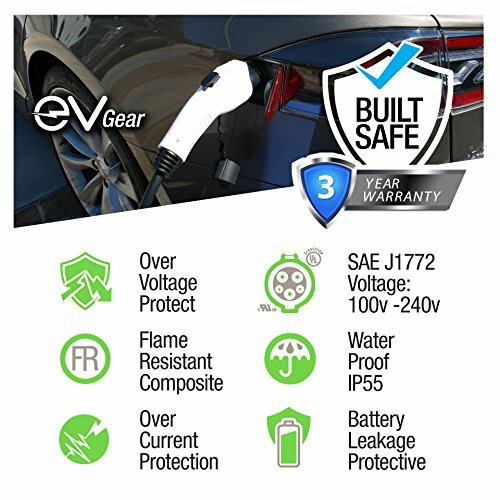 3 YEAR WARRANTY: All EV Gear products has been meticulously tested and comes with a 3 Year No-Hassle Warranty. We fully stand behind our products and are always available for our customers. If anything is not to your complete satisfaction, simply reach out to us and we will make it right! Guaranteed. For more information about our product, please scroll down to read our full product description. 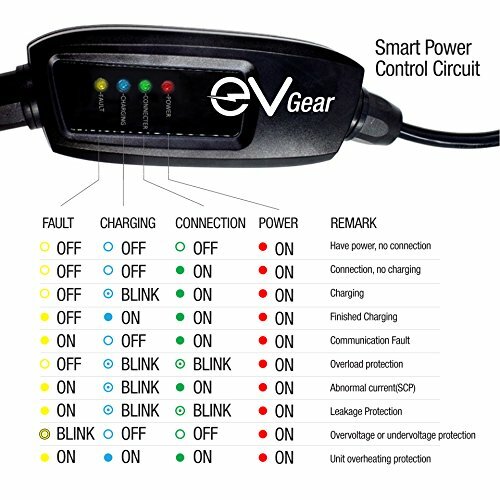 If you have any questions about this product by EV Gear, contact us by completing and submitting the form below. If you are looking for a specif part number, please include it with your message.